All I can say is thank goodness for save-the-dates! Back in my parent’s day, no one would’ve known what these were and just sent out invites to all their guests. Now, I’m not entirely sure what we would have done without them. In these times of destination weddings, family and friends scattered around the globe, it’s necessary for guests to know well in advance when and where they’ll need to book flights to. Inform guests of your wedding date ASAP. When you first get engaged, there’s a flurry of decisions you will have to make first such as a date, weddding venue and perhaps catering. If you have a short engagement and have to start designing from the get go, this would be too much. A simple save-the-date sent by email becomes a saving grace. Not much planning needs to go into that, but you can breathe easily knowing your guests know the date and can plan accordingly. If they’re international guests, this can have a huge impact of when they take leave, book flights and local accommodation. Your invitations can coincide with the Gift registry time period. 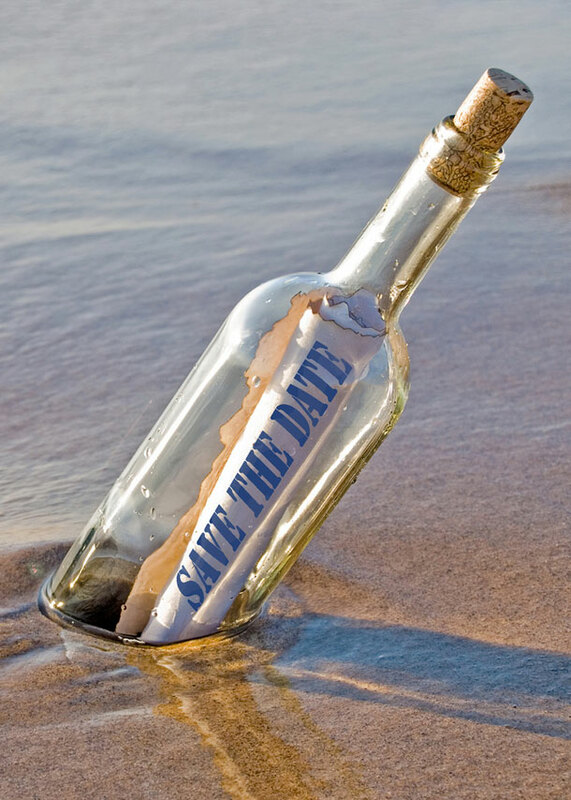 I’m told that once a save-the-date has been sent out, your invitations should go out 6 weeks before the wedding date. This is great in that it will coincide with you choosing items for your gift registry. You won’t have to tag pots and pans months ahead of the time only to have them go out of stock when your guests go shopping. It gives you time to plan, design and send your invitations. This 6 week deadline is fast approaching us and I’m told that invitations entail quite a bit more than just information and photos. There’s paper selection such as embossed, metallic, translucent and bamboo. Don’t get clever and think you can just ask for ‘white’ paper. There are 100’s of different textures and shades of white alone. Unless you’ve got graphic design skills, chances are that you’ll have to pay someone to design what you envision your font and images to look like. And then if you’re boldly going for colour, you may spend considerable time getting the colours precisely right before printing. It can help you save on the invitation cost. Once your guests respond to your save-the-date, you only have to send invitations to those who have responded yes. Whilst your invitations sent at a later date will always allow for an RSVP it saves you having to print invitations for all the no’s and maybes and just for those who are pretty sure they won’t miss it. Read more from Lauren as she plans her wedding in our Bride to Be section.